The main goal of firefighters is to save lives regardless of the kind. Because just like humans, dogs, cats and pets in general need help as well. That’s when the heroic firefighters arrive to save the day. We often hear about their heroic acts on TV, but most of the time the stories involve saving a human life. But we all know that every life is precious, and pets appreciate the help too. This also means that firefighters are proud of their work no matter who they’re saving. 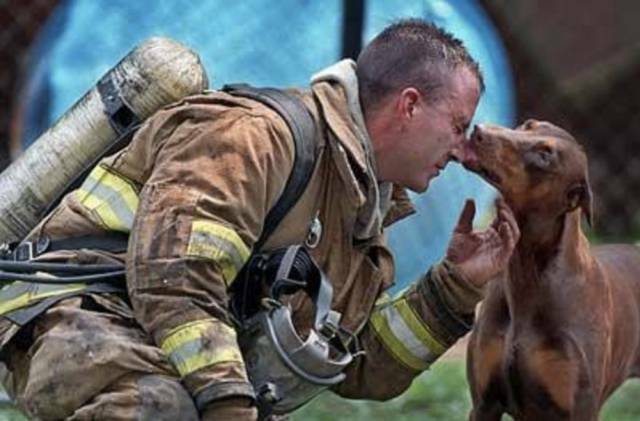 That’s why we’ve dedicated a list of few moving photos showing how firefighters are risking their lives to rescue animals. Continue to next page to see the moving photos!